Are you an experienced vet, or recent graduate and looking for your next career move? Then pop along to our stand at BSAVA Congress to find out how we can help. 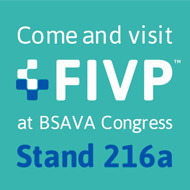 Our friendly team will be at stand 216a to explain all the benefits of working for an independent practice. We have numerous opportunities available for like-minded individuals, including roles in both general and specialist practice, small animal, large animal and equine practice.